In 2018 I want to transform our little flat and deck it out with nice furnishings to make it feel a bit more homely. I love lusting over pinterest for inspiration and I can't wait to buy our first house in the next couple of years and decorate it to our taste. It makes me so excited. 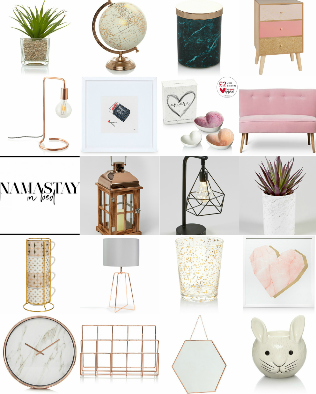 Anyway, I thought today I'd share with you some of my favourite picks for homeware in the hope it might inspire some of you too.